Façonné par les glaciers et découpé par les rivières et les eaux souterraines, le parc national Durmitor est d’une beauté naturelle saisissante : le long de la Tara, aux gorges les plus profondes d’Europe, les forêts denses de conifères sont parsemées de lacs aux eaux limpides et abritent une importante flore endémique. يتميَّز منتزه دورميتور الوطني الذي يتألَّف من جبال جليدية وتجتازه الأنهر والمياه الجوفية، بجمالٍ طبيعي مؤثّر، فهو يقع على طول التارا في أكثر المضائق عمقًا في أوروبا، وتملأ غابات الصنوبريات الكثيفة بحيرات المياه الصافية، كما يحتوي على تشكيلة كبيرة من النباتات المستوطنة. Этот впечатляющий ландшафт, некогда сформированный ледником, расчленен реками и подземными (карстовыми) водотоками. Вдоль каньона реки Тара, который считается самым глубоким ущельем в Европе, произрастают густые сосновые леса, которые перемежаются с чистыми озерами, и служат местообитанием для многих эндемичных растений. Configurado por la acción de los glaciares y surcado por ríos y aguas subterráneas, el Parque Nacional de Durmitor es de una belleza asombrosa. A lo largo del curso del río Tara, que posee las gargantas más profundas de Europa, se extienden tupidos bosques de coníferas con una importante flora endémica y lagos de aguas límpidas. Dit nationaal park bestaat uit het Durmitor bergplateau en de vallei gevormd door de canyon van de Tara rivier. Door zijn geografische ligging en hoogteverschillen kent het gebied zowel mediterrane als alpiene microklimaten. Het park is gevormd door gletsjers en wordt doorsneden door rivieren en ondergrondse stromen. Langs de canyon van de Tara – met de diepste kloven in Europa – worden de dichte dennenbossen afgewisseld met heldere meren. De bossen herbergen een breed scala aan inheemse flora. De Tara, haar zijrivieren en de meren bevatten een groot aantal zalmachtigen. Het gebied is de habitat van de bruine beer, wolf, gemzen, wilde zwijnen en diverse adelaars. Durmitor is a stunning limestone massif located in Northern Montenegro and belonging to the Dinaric Alps or Dinarides. It is also the name of Montenegro's largest protected area, the Durmitor National Park, which constitutes the heart of a landscape shaped by glaciers, numerous rivers and underground streams of which are embedded in the much larger Tara River Basin Biosphere Reserve. Some fifty peaks higher than 2,000 metres above sea level rise above plateaus, alpine meadows and forests, including Bobotov Peak (2,525 metres above sea level). Numerous glacial lakes, locally known as “mountain eyes”, cover the landscape. Despite its many attractions, Durmitor is best known for the spectacular canyons of the Draga, Sušica, Komarnica and Tara Rivers, the latter stands out as Europe's deepest gorge. Durmitor is a popular tourism destination, known for superb hiking, climbing, mountaineering and canoeing opportunities. The nearby town of Zabljak is Montenegro’s primary ski resort. Besides the extraordinary landscape beauty and the fascinating geological heritage, Durmitor National Park is also home to an impressive biological diversity. At the habitat level, a rare old-growth stand of European Black Pine deserves to be mentioned. Favored by the altitudinal gradient of more than 2,000 metres and both alpine and Mediterranean climatic influences, there are more than 1,600 vascular plants in the wider Durmitor Massif. A great percentage is found in the park and many are rare and endemic species. Large mammals include Brown Bear, Grey Wolf, and European Wild Cat. Among the 130 recorded birds are Golden Eagle, Peregrine Falcon and Capercaillie. Likewise noteworthy is the rich fish fauna, which includes the endangered Danube Salmon. The park is inhabited by farmers and shepherds, traditionally using the high-altitude meadows as summer pastures. The property is well protected and its status and international recognition have helped to prevent irreparable damage from threats, such as upstream pollution and proposed dam construction. Criterion (vii): Durmitor National Park's exceptional scenic beauty has been shaped by glaciers and rivers. The alpine meadows on plateaus and smooth hills are set against the stark backdrop of the numerous high and rugged peaks. The dense forests and the glacial lakes add to the scenic diversity and appeal. The most dramatic elements of the spectacular mountain landscape are the deep river canyons, most notably the famous Tara River Gorge, Europe's deepest gorge and one of very few unaffected by dams and roads. Even the underground offers stunning natural beauty in the form of numerous caves, most notably the “Ice Cave”, with its impressive ice stalactites and stalagmites. Criterion (viii): Durmitor National Park harbours a wealth of geological and geomorphological features of major scientific interest which have been shaping the landscape, such as the many remarkable Karst phenomena. The dominant geological features are very thick, often savagely contorted limestone formations of the Middle and Upper Triassic, Upper Jurassic and Upper Cretaceous though more recent rocks are also present. One particularity is the so-called Durmitor Flysch, a term used for tectonic layers inclined at an angle of 90 degrees in the Durmitor Massif. The sheer walls of the many canyons, and in particular, those of the spectacular Tara River Gorge of more than sixty kilometres, are not only fundamental landscape features of the Park but also expose magnificent rock formations. Less known but no less fascinating is the underground world of the property. It includes Montenegro's deepest cave and subterranean rivers draining some of the glacial lakes. In particular, the “Ice Cave” is a visually stunning and a rare relict of past glaciation. Criterion (x): The diverse mountain landscape encompasses altitudinal zones ranging from only 450 to more than 2,500 metres above sea level and a broad array of ecosystems and habitats. Among these are rocky peaks, forests, alpine meadows, lakes, rivers, canyons and caves which include underground freshwater systems. Of particular importance is an old-growth forest of European Black Pine, where 400 year-old specimens can reach heights above 50 metres. Many of the roughly 700 vascular plant species are floristically of alpine and Sub-Mediterranean origin, including a rich karstic and calcareous grassland flora with many rare and endemic species. Overall, 37 plant species are reported to be endemic to the wider area and six specifically to Durmitor. Among the large mammals are predators like Brown Bear, Grey Wolf, European Wild Cat and River Otter. Some 130 bird species include birds of prey, such as Golden and Short-toed Eagle, Honey Buzzard and Peregrine Falcon but also Capercaillie and Black Grouse. The endangered Danube Salmon, under heavy pressure from overuse and dam construction elsewhere in its natural habitat, continues to live in the rivers of the park. Durmitor National Park provides shelter for a significant altitudinal gradient, and the many different natural features and values of the corresponding zones. The protected part of the Massif contains major elements of the rugged peaks, meadows, lakes and forests. Geologically speaking and in terms of landscape values, the World Heritage property displays a wide array of extraordinary phenomena. Among these, the Tara River Gorge is notable, as the park provides rare protection for a long and mostly undisturbed canyon in a region that has seen ever-more dam development over the last decades. In terms of biodiversity, the park covers major vegetation types and areas of particular conservation importance for the rich and diverse flora and fauna. A good indicator of Durmitor's ecological integrity is the ongoing presence of large predators both on land and in the freshwater systems. While the park provides a safe environment for many species, it is clear that populations of predators and many other species require much larger areas for their natural habitat, confirming the importance of the integrated biosphere reserve approach with its buffer and transition zones. Scientific observers have suggested opportunities to improve additional areas belonging to the same hydrological, morphological and ecological systems. Such areas would add complementary natural values while simultaneously increasing the long-term integrity of the World Heritage property. Past concerns about water contamination and expected effects of planned dam construction serve as a reminder that effective long-term river conservation requires planning at the level of entire watersheds. Founded in 1952 with a smaller surface area, the state-owned “Durmitor” National Park has a long formal conservation history going back to 1907 when the Black Lake, today within the property, received protected status. 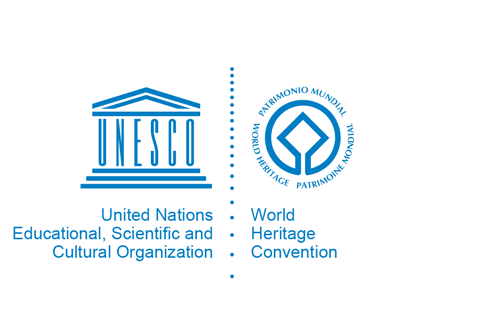 International recognition dates back to 1976 when the Tara River Basin became a biosphere reserve under UNESCO's Man and the Biosphere (MAB) Programme. The Tara River Gorge received formal protection status as a Nature Reserve and Nature Monument only in 1977, paving the way to becoming an integral part of the enlarged Durmitor National Park one year later. Inscribed in 1980, the Durmitor World Heritage property was extended in 2005 to fully coincide with the borders of the National Park. In addition to the Law on Nature Protection and the Law on National Parks, a broad spectrum of environmental legislation on forests, water, soils, hunting and fishing is applicable. The Public Enterprise “Nacionalni Parkovi Crne Gore” is in charge of management, which is implemented through a specialized team headed by the Park Director. For management purposes, Durmitor has been divided into three zones, including a strictly protected zone covering some 10%of the park, a zone of protection covering some 75% of the park and a zone of sustainable use covering some 15% of the total area of the Park. Management planning is guided by medium-term plans for a 5 year period and implemented through annual plans. Although landscape integrity and ecological functions are intact, an overarching management need is to ensure control of development that might threaten the ecological, socio-economic and cultural values of Durmitor. While this is fully reflected in the management vision, the documentation of past concerns serves as a reminder that management has to be aware of multiple threats. The Park and its surroundings have traditionally been inhabited and ongoing uses of natural resources include timber and firewood, livestock grazing and harvesting of the many species of edible mushrooms and medicinal plants. A balance between the needs of legitimate local livelihood and conservation is indispensable. Other concerns requiring adequate control and management responses include the rapid expansion of the nearby resort town of Zabljak. Past hydro power plans that would have led to the flooding of parts of the spectacular Tara River Canyon illustrate that developments outside the property could affect key values of Durmitor. The same holds true for the Mojkovac metal mining and processing complex, upstream on the banks of the Tara River. Huge tailings at some point threatened major heavy metal contamination. The past prevention of such harm is part of the great success story of Durmitor but future contamination risks remain.